The Trump Administration released its ambitious $1.5 trillion infrastructure plan on Feb. 12, 2018 – a plan that includes many provisions focused upon encouraging the reuse of contaminated brownfields and Superfund sites. On the same day, the Administration released its proposed budget for Fiscal Year (FY) 2019, which called for a 23 percent cut from FY 2018 levels in the U.S. Environmental Protection Agency’s (U.S. EPA) budget. The U.S. EPA also released its final Strategic Plan for 2018-2022, emphasizing a focus upon the agency’s core mission, cooperative federalism and the rule of law. What does all of this mean for the redevelopment of contaminated sites in the United States? The infrastructure program would establish an Incentives Program that could be very beneficial for state and local reuse of contaminated sites. Up to $100 billion would be set aside for the Incentives Program, which would fund a wide range of projects, including brownfields and Superfund sites, stormwater facilities, wastewater facilities, flood control, water supply, drinking water supply and transportation facilities. The funds would be divided among the U.S. Department of Transportation (U.S. DOT), the U.S. Army Corps of Engineers and the U.S. EPA. The infrastructure plan suggests criteria by which applications would be evaluated, with substantial weight (70 percent) being given to obtaining commitments for non-federal revenue for sustainable, long-term funding for infrastructure investments and for operations, maintenance and rehabilitation. In order to motivate performance, the grant recipient would need to enter into an infrastructures incentives agreement with the lead federal agency and to agree to achieve progress milestones. If the milestones are incomplete after two years, the agreement will be voided unless there is good cause to extend the agreement for another year. No individual state could receive more than 10 percent of the total amount available under the Incentives Program. Additional funds would be set aside for a Rural Infrastructure Program, including funds for brownfields and land revitalization as well as stormwater and wastewater facilities, drinking water, flood risk management and water supply. States would be required to develop a comprehensive rural infrastructure investment plan (RIIP). Some funds would also be provided for tribal infrastructure and the infrastructure needs of U.S. territories. Yet another category of funds would be set aside for the Transformative Projects Program – projects that are likely to be commercially viable but have unique technical and risk characteristics that might deter private sector investment. Projects that could be covered by this program could fall within commercial space, transportation, clean water, drinking water, energy or broadband. A total of $20 billion would initially be set aside for this program, with the U.S. Department of Commerce chairing the program. Funds could be used for demonstration, project planning, capital construction, or all three. If a project receives financial assistance for capital construction, it would be expected to enter into a value share agreement with the federal government and would be required to publish performance information upon achieving milestones and finishing the project. The federal government would also dedicate $20 billion from existing federal credit programs, and broaden the use of Private Activity Bonds, to assist complex infrastructure projects. These sources of funding would include: the Transportation Infrastructure Finance and Innovation Act (TIFIA); Railroad Rehabilitation and Improvement Financing (RRIF); Water Infrastructure Finance and Innovation Act (WIFIA); Rural Utility Service (RUS) lending; and Private Activity Bonds (PABs). The Administration would amend TIFIA to make loans and credit assistance available for other types of projects – such as passenger terminals, runways and related facilities at non-federal waterways and ports as well as airport projects – until FY 2028. Similarly, the Administration is proposing to amend RRIF to cover the credit risk premium for short-line freight and passenger rail project sponsors, thereby incentivizing more project sponsors to apply for RRIF credit assistance. It would also like to amend WIFIA (33 U.S.C. 3905) to include flood mitigation, navigation and water supply, and to eliminate the requirement that borrowers be community water supply systems. The Administration would like to make WIFIA funds available for remediation of water quality contamination by non-liable parties. It would remove the current spending limit of $3.2 billion, which was put in place when WIFIA was a pilot program, and would amend the restriction upon using WIFIA funds to reimburse costs incurred prior to loan closing. 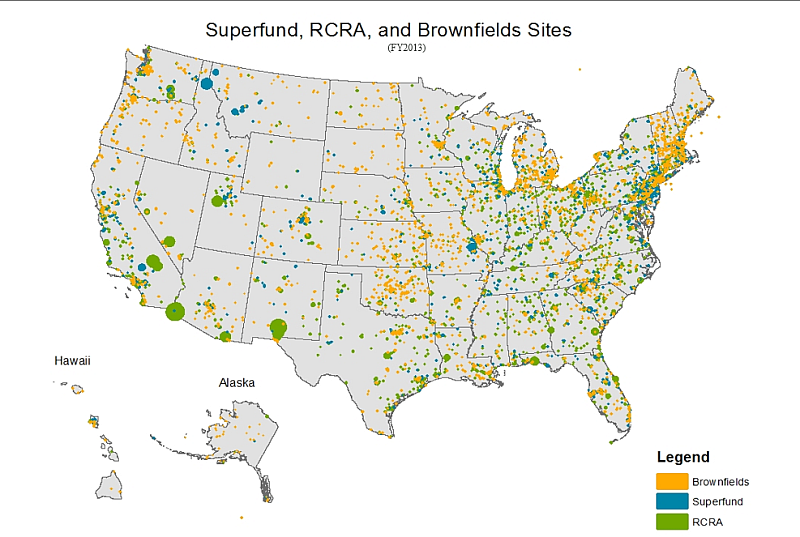 The Administration proposes establishing a Superfund Revolving Loan Fund and Grant Program and authorizing sites that are on the National Priorities List (NPL) to be eligible for brownfields grants. It would amend the Small Business Liability Relief and Brownfields Revitalization Act in order to do so. This would allow non-liable parties to tap into a low-interest source of funds to perform removals, remedial design, remedial action and long-term stewardship. 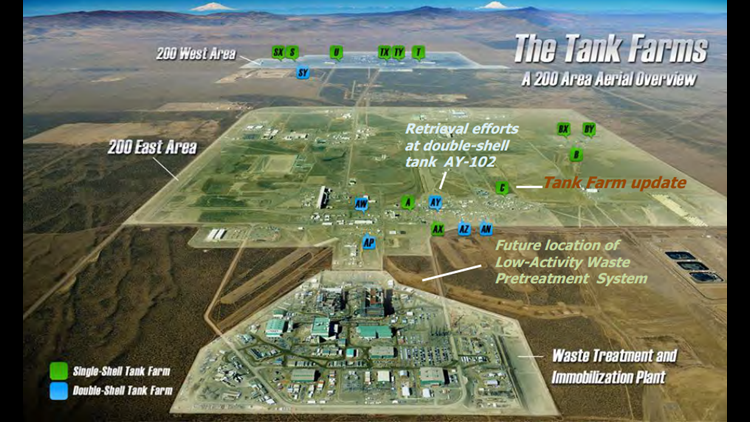 The program would be targeted toward portions of NPL sites that were not related to the response action; to portions that could be parceled out from the response action site; to areas where the response action was complete but the site had not yet been delisted; or to areas where the response action was complete but the facility was still subject to a consent order or decree. The Administration would also propose additional liability protections to states and municipalities acquiring contaminated properties in their capacity as sovereign governments by clarifying and expanding the current liability protections in the Comprehensive Environmental Response, Compensation, and Liability Act (CERCLA) Section 101(20)(D). These governmental entities would be eligible for grants and would be protected from liability, so long as they meet the obligations imposed upon bona fide prospective purchasers (BFPPs), including exercising appropriate care with regard to releases, so long as they did not contribute to the contamination. The Administration would also give EPA express authority to enter into administrative settlement agreements with BFPPs or other third parties who wish to clean up and reuse contaminated Superfund sites. This could include partial and early remedial actions. The Administration’s infrastructure proposal would encourage greater flexibility in funding and execution requirements, as infrastructure needs should be integrated into cleanup design and implementation. Better integration would allow third-party financing and promote site reuse. The Administration proposed a “one agency, one decision” environmental review structure, in which a single federal lead agency would complete the environmental review within 21 months and issue either a Finding of No Significant Impact (FONSI) or Record of Decision (ROD). The lead agency would then have another three months to issue any necessary permits, including state permits issued under federal law pursuant to a delegation of authority. The agency would not be required to evaluate alternatives outside the scope of the agency’s authority or the applicant’s capability. The Council on Environmental Quality (CEQ) would be directed to revise its regulations to streamline the National Environmental Policy Act (NEPA) process to increase the efficiency, predictability and transparency of environmental reviews. The Administration would eliminate what it considers to be duplicative reviews by EPA under Section 309 of the Clean Air Act. It would also encourage each federal agency to increase its use of categorical exclusions (CEs) and would allow any federal agency to use a CE established by another federal agency without undergoing the CE substantiation and approval process. The Administration would also recommend amending the law to allow federal agencies to accept funds from non-federal entities to support review of permit applications and other environmental documents to expedite project delivery and defray costs. The Administration would also make changes under the Clean Water Act to eliminate redundancy and duplication. For example, it would allow federal agencies to select nationwide permits without the need for additional Army Corps review. It would authorize the Secretary of the Army to make jurisdictional determinations under the Clean Water Act and would eliminate EPA’s ability to veto a Section 404 permit under Section 404(c). It would allow the same document to be used for actions under Sections 404 and 408 of the Clean Water Act. The Administration would lengthen the term of a National Pollutant Discharge Elimination System (NPDES) permit from five years to 15 years and provide for automatic renewals. Similar changes would be made under the Clean Air Act. For example, the Administration would amend the Clean Air Act so that state departments of transportation (state DOTs) and metropolitan planning organizations (MPOs) would need only to demonstrate conformity to the latest National Ambient Air Quality Standards (NAAQS), rather than to old and new standards for the same pollutant. Similarly, MPOs would be allowed to demonstrate conformity in a newly designated non-attainment area within one year after EPA has determined that the emissions budget is adequate for conformity purposes. 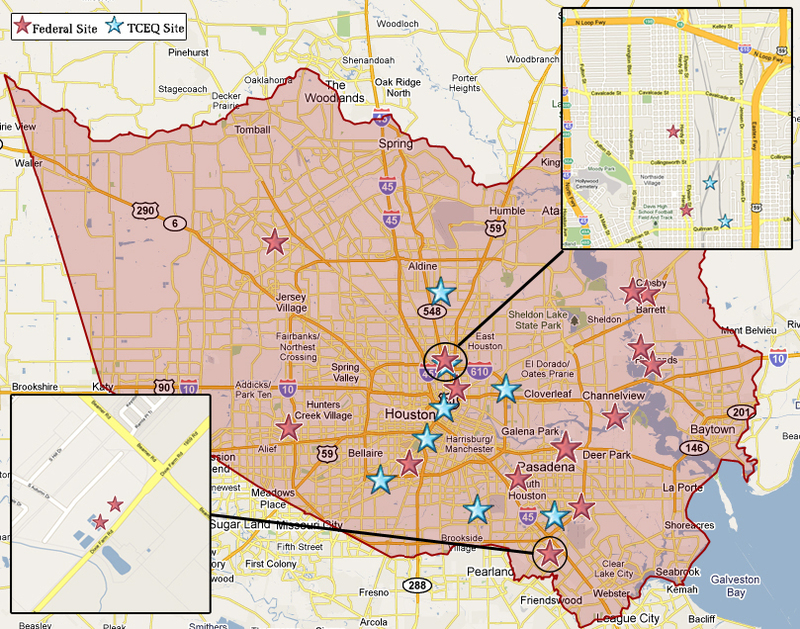 The Administration proposes eliminating overlapping Section 4(f) review by the U.S. Department of the Interior, U.S. Department of Agriculture and U.S. Department of Housing and Urban Development before the DOT can be authorized to use parklands or historic sites unless there is no prudent or feasible alternative. This process can add an extra 60 days to the project development review process, even when those agencies have little direct involvement in the project. Another layer of review is required under Section 106 of the National Historic Protection Act (NHPA) for historic properties that is not aided by the Fixing America’s Surface Transportation (FAST) Act. The Administration recommends that an action taken under a Section 106 agreement should not be considered a “use” under Section 4(f), therefore eliminating some duplication and delay. The Administration would expand the NEPA assignment program to allow DOT to assign, and states to assume, a broader range of NEPA responsibilities, including project-level transportation level conformity determinations as well as determinations regarding flood plain protections and noise policies to make the NEPA assignment program more efficient. Also proposed by the Administration is a pilot program with up to 10 pilot sites that would be expected to meet performance standards and enhanced mitigation, in lieu of complying with NEPA and relevant permits or other authorizations. The Administration also proposed judicial reforms, including limiting injunctive relief to exceptional circumstances and revising the statute of limitations to 150 days (rather than a statute of limitations of up to six years). The Administration also released its “Efficient, Effective, Accountable: An American Budget” on Feb. 12, 2018, in which it proposed a 23 percent cut in EPA’s budget compared to FY 2018. The White House added $724 million to EPA’s budget in a supplemental request, including $327 million for the Superfund program and $397 million for State and Tribal Assistance Grants for Clean Water and Drinking Water State Revolving Funds (SRFs). At the same time, the Administration proposed cuts of 16 percent in grants to states (to $2.9 billion) and proposed cuts of 35 percent in funding to state and local agencies for air quality management (to $152 million). The Administration requested $151 million for enforcement at Superfund sites and $20 million for the WIFIA program. The FY 2018-2022 EPA Strategic Plan, also released on Feb. 12, 2018, continued to emphasize three main goals: the agency’s Core Mission, Cooperative Federalism, and the Rule of Law and Process. 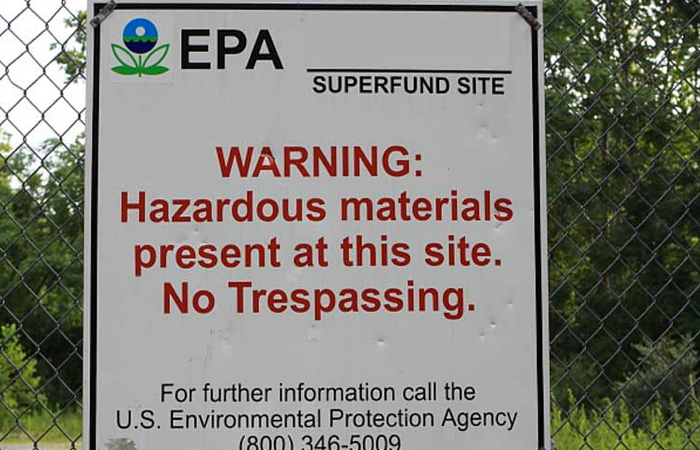 Among its two-year priority goals, The U.S. EPA intends to make an additional 102 Superfund sites and 1,368 brownfields sites ready for anticipated use (RAU) by Sept. 30, 2019. The U.S. EPA intends to use a “Lean” management system designed to deliver measurable results that align with the Strategic Plan. 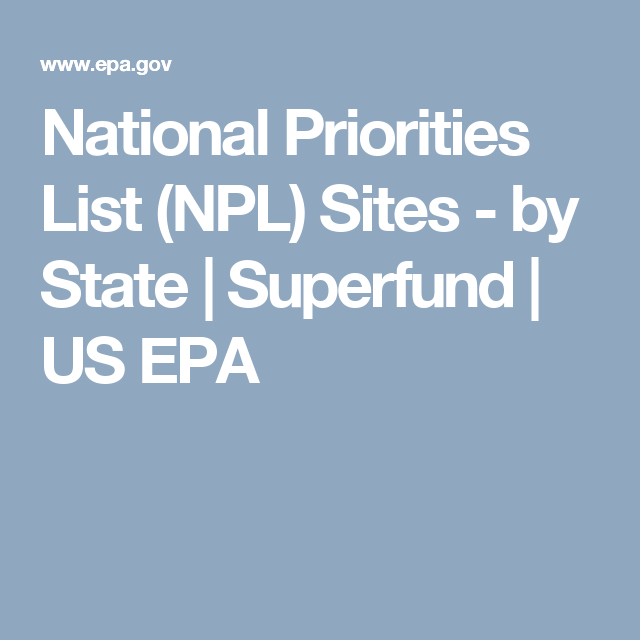 The U.S. EPA then announced the strategies by which it intends to achieve these goals, including the use of new technologies and innovative approaches; prioritizing sites that have been on the NPL for five years or more without significant progress; and reprioritizing resources to focus on remedial actions, construction completions, ready for reuse determinations and NPL site deletions. The U.S. EPA will award competitive grants for the assessment, cleanup and reuse of brownfields sites, and will focus on sites subject to RCRA corrective action and LUST sites. The U.S. EPA will review more than 12,500 risk management plans (RMPs) to help prevent releases and train RMP inspectors, and it intends to update its RCRA hazardous waste regulations to protect the health of the 20 million people living within 1 mile of a hazardous waste management facility. It will also issue polychlorinated biphenyls (PCB) cleanup, storage and disposal approvals, since this work cannot be delegated to states or tribes. The U.S. EPA acknowledged that many of the sites that remain on the NPL are large, more complex and may contain multiple areas of contamination, and may contain emerging contaminants such as per- and polyfluoroalkyl substances (PFAS). The U.S. EPA promised to engage stakeholders at all levels in making cleanup and land revitalization decisions. As part of Objective 3.1, compliance with the law, the U.S. EPA stated that it would continue to follow an “enforcement first” approach under CERCLA to maximize the participation of responsible parties to perform and pay for cleanups. It indicated it would focus its resources on the highest priority sites that present an immediate risk to human health and the environment, and return these sites to beneficial use as expeditiously as possible. It will also use advanced monitoring technologies to ensure compliance and work with the Environmental Council of the States (ECOS) and state associations to modernize ways to improve compliance. Amy L. Edwards is the co-chair of the firm’s National Environmental Team, as well as its Military Housing and Installations Redevelopment Team. She is a partner in the firm’s Public Policy & Regulation Group, which has been ranked among the top law and lobbying firms in Washington, D.C., by numerous publications. Ms. Edwards has been recognized as a leading environmental lawyer for several years by Chambers USA, Super Lawyers and Best Lawyers. After holding several other leadership positions, she will become the Chair of the American Bar Association’s Section of Environment, Energy and Resources (SEER), the pre-eminent national organization representing lawyers in these fields, in 2018-2019. Nicholas Targ is a San Francisco attorney with more than 20 years of experience assisting clients in the public and private sectors efficiently achieve their land use, environmental and policy goals. He co-chairs Holland & Knight’s national environmental team. Mr. Targ’s practice focuses on complex redevelopment projects, environmental compliance and government advocacy. His representative work includes strategic legal advice on brownfields redevelopment, Superfund compliance, and state and federal grant and policy advocacy. Mr. Targ has successfully advocated for infill funding and policy initiatives on behalf of public, private and nonprofit coalition clients. This article was first published on the Holland & Knight LLP website.